The Official Internet Site of the LDS Church - Go direct to the source — there is much to be learned here. 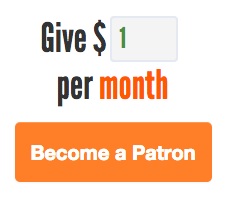 The Post-Mormon Online Community – A community of like minded post- and ex-Mormons. Their resources include an interactive forum and an online magazine. Recovery from Mormonism – “A site for those who are questioning their faith in the Mormon Church and for those who need support as they transition their lives to a normal life.” The site keeps an archive of exit stories, articles on various aspects of the Mormon religion including history and current affairs, and an interactive discussion forum. Mormon No More – How to resign from the Mormon Church. Includes advice, stories, and example resignation letters. Exmormon Foundation – Hosts the annual Exmormon Conference. Life After Mormonism – The Social Network Serving the Exmormon Community. Reddit Exmormons – A Reddit community for Exmormons. Affirmation – LGBT Mormons, Families, Allies, & Friends. Re-Thinking Mormonism – A collection of insightful articles and commentary on Mormonism. The Mormon Curtain – Exmormon news and blog. MormonThink.com: An Objective Look at the LDS Church – Includes information on controversies. LDS-Mormon.com – Many articles on all aspects of the LDS church, including criticisms, exit stories, Church history, and controversial figures. 20 Truths About Mormonism - An overview of many key points of the Mormon deceptions. Cult Education Institute (formerly Rick Ross Institute) on Mormons – A site collecting information and news releases on cults. This link goes to their page on Mormonism. He also has a page dedicated to fundamentalist polygamy groups. Dialogue – A Journal of Mormon Thought. 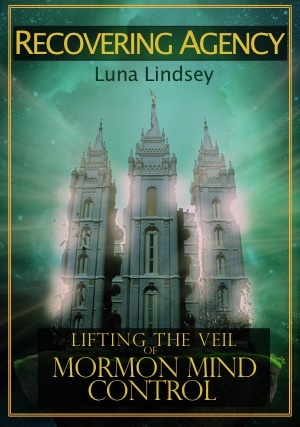 Sunstone Magazine – Open-minded intellectual LDS magazine. Mormon Stories Podcast – Run by John Dehlin, grapples with difficult issues for members. New Order Mormon – Current members who seek a less dogmatic view of Mormonism. Ordain Women – LDS feminists seeking equality in leadership roles. Cult Education Institute (formerly Rick Ross Institute) – A database of information about cults, destructive cults, controversial groups and movements. The International Cultic Studies Association – Originally founded as the American Family Foundation (AFF), this organization provides support and information regarding cults and mind control. Child Friendly Faith – Seeks to protect children from abuse in religious contexts. Families Against Cult Teachings – Spreading awareness about cults and helping people leave and recover. Recovering From Religion – Multiple resources for helping people leave religions of all kinds. Because it’s a tough journey out. Freedom of Mind Center – Steven Hassan’s official website (author of Releasing the Bonds and Combatting Cult Mind Control). FactNet – News and Information on cults and mind control. Help families and friends understand and effectively respond to the complexity of a loved one’s cult involvement. Resources about cults, cultic groups, abusive relationships, movements, religions, political organizations and related topics. Assists group members and their families make the sometimes difficult transition from coercion to renewed individual choice. 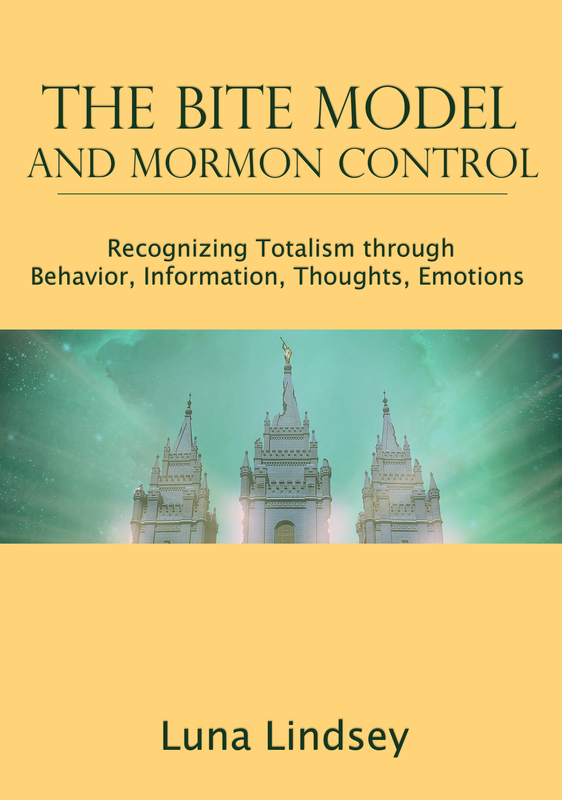 The Pattern of the Double-Bind in Mormonism by Marion Stricker – How the emotional dynamics of Mormonism keeps members trapped. “My Controversy with the Church” by Janice M. Allred – A personal exit story of a controversial LDS author. Good-bye to God by Steve Benson – A personal exit story from the grandson of Prophet Ezra Taft Benson. Thought reform and conformity within Mormonism – A quick list of some thought-reform techniques as they relate to Mormonism. Dr. Robert J. Lifton’s Criteria for Thought Reform – The original list of 8 thought reform techniques from mind control pioneer, Dr. Lifton, with brief descriptions. Cialdini, Robert B. Influence: Science and Practice. Boston: Pearson Education, 2009. Goldhammer, John D. Under the Influence. Prometheus Books, 1996. Hassan, Steven. Freedom of Mind: Helping Loved Ones Leave Controlling People, Cults, and Beliefs. Newton, MA: Freedom of Mind Press, 2012. Lamborn, Lyndon. Standing For Something More: The Excommunication of Lyndon Lamborn. Bloomington, Ind. : AuthorHouse, 2009. Worthy, Jack B. The Mormon Cult: A Former Missionary Reveals the Secrets of Mormon Mind Control. Tucson, Ariz.: See Sharp Press, 2008. Anderson, Duwayne. Farewell to Eden: Coming to Terms with Mormonism and Science. Bloomington, IN: AuthorHouse, 2003. Bagley, Will. Blood of the Prophets: Brigham Young and the Massacre at Mountain Meadows. Norman: University of Oklahoma Press, 2004. Bigler, David. Forgotten Kingdom: The Mormon Theocracy in the American West, 1847-1896. Logan, Utah: Utah State University Press, 1998. Brodie, Fawn M. No Man Knows My History: The Life of Joseph Smith. New York: Vintage, 1995. Buerger, David J. The Mysteries of Godliness: A History of Mormon Temple Worship. San Francisco; Salt Lake City, Utah: Signature Books, 2002. Bushman, Richard Lyman. Joseph Smith: Rough Stone Rolling. New York: Vintage, 2007. Compton, Todd M. In Sacred Loneliness: The Plural Wives of Joseph Smith. Salt Lake City: Signature Books, 1997. Cowdrey, Wayne L., Howard A. Davis, and Arthur Vanick. Who Really Wrote the Book of Mormon? : The Spalding Enigma. St. Louis, MO: Concordia Publishing House, 2005. Krakauer, Jon. Under the Banner of Heaven: A Story of Violent Faith. New York: Anchor, 2004. Larson, Charles M. By His Own Hand Upon Papyrus: A New Look at the Joseph Smith Papyri. S.l. : Inst for Religious Research, 1992. Newell, Linda King, and Valeen Tippetts Avery. Mormon Enigma: Emma Hale Smith. 2 Sub edition. Urbana, Ill.: University of Illinois Press, 1994. Palmer, Grant. An Insider’s View of Mormon Origins. First Edition. Salt Lake City: Signature Books, 2002. Quinn, D. Michael. Early Mormonism and the Magic World View. 2nd Edition. Salt Lake City: Signature Books, 1998. Armstrong, Karen. A History of God: The 4,000-Year Quest of Judaism, Christianity, and Islam. New York: Gramercy, 2004. Bach, Richard. Illusions: The Adventures of a Reluctant Messiah. London: Arrow Books Ltd, 2001. Beattie, Melody. Codependent No More: How to Stop Controlling Others and Start Caring for Yourself. Center City, MN: Hazelden, 1986. Branden, Nathaniel. The Art of Living Consciously: The Power of Awareness to Transform Everyday Life. New York: Touchstone, 1999. Burns, David D., M. D. Feeling Good: The New Mood Therapy. New York: Harper, 2008. Campbell, Joseph, and Bill Moyers. The Power of Myth. New York: Anchor, 1991. Hanh, Thich Nhat, and Jack Kornfield. Being Peace. Berkeley, CA: Parallax Press, 2005. Keen, Sam. Hymns to an Unknown God: Awakening The Spirit In Everyday Life. New York: Bantam, 1995. Mcelroy, Wendy. The Reasonable Woman: A Guide to Intellectual Survival. Amherst, N.Y: Prometheus Books, 1998. Sagan, Carl, and Ann Druyan. The Demon-Haunted World: Science as a Candle in the Dark. New York: Ballantine Books, 1997.